I came across a really simple recipe for one of my favorite Indian foods, Roti bread, today and thought I’d give it a try. As an “Everything But The…Oil” recipe, it went to bat in the test kitchen to see if it was easy and delicious enough to be considered for our product line. 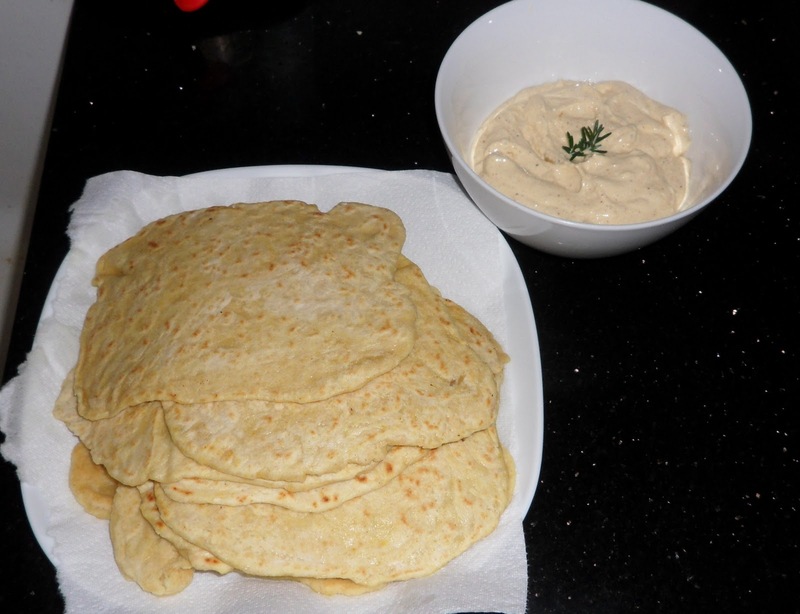 For some reason I always thought Roti would be a difficult bread to make but the recipe has only six ingredients, almost all of which most people keep in their kitchens already. The recipe I used called for Garam Masala as the spice addition but I didn’t have it on hand, so I substituted with some curry powder. 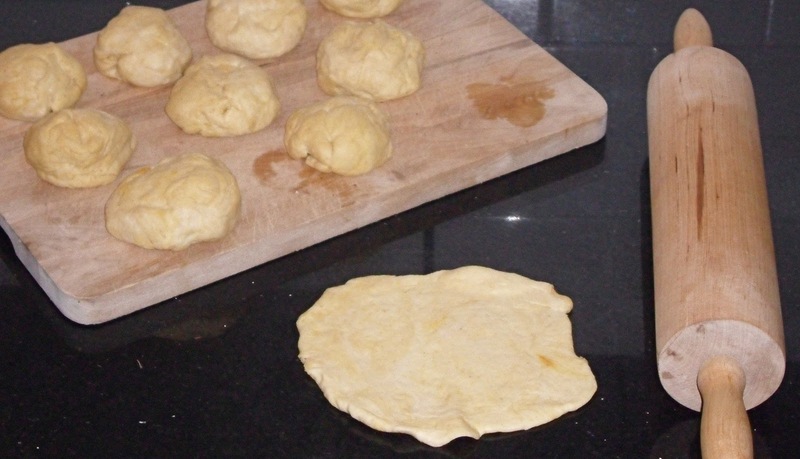 The curry powder still produced delicious results and added a nice yellow color to the dough. The dough is a simple flour / water / oil mix and it needed a little resting time after mixing. Shaped into about 2″ balls and then rolled out and oiled on each side, I tossed each one individually into an oiled pan and gently cooked them on each side for less than a minute. Easy and fast, this is a shocking realization. Someone should obviously employ me in the ways of roti making full time. The result was a fluffy yet crisp bread in a circle-like shape (hey, it was my first try, let’s call me a roti maker in training) and it tasted nicely of curry. Check out the finished product below. I whipped up some curried yogurt dip with lemon and a little salt and pepper for dipping. Dinner is served! Maybe I’ll throw in a vegetable and some protein…or maybe I’ll just devour the whole plate full. Want to know more about what Garam Masala really is? Read after the jump. The composition of garam masala differs regionally, with wide variety across India. Some common ingredients are black & white peppercorns, cloves, malabar leaves, long pepper (also known as pippali), black cumin (known as shahi jeera), cumin seeds, cinnamon, black, brown, & green cardamom, nutmeg, star anise and coriander seeds. Varying combinations of these and other spices are used in regional variants of garam masala, none of which is considered more authentic than another. Some recipes call for spices to be blended with herbs, while others grind the spices with water, vinegarcoconut milk to make a paste. In some recipes nuts, onion or garlic or other liquids such as may be added. The flavours may be carefully blended to achieve a balanced effect, or in some cases a single flavour may be emphasized for special dishes where this is desired. Usually a masala is roasted before use to release its flavours and aromas.